It will come as no surprise to anybody that our current area of focus is understanding and reacting to the proposals that Kirklees Council have on the table to “IMPROVE” the major roads through Holmfirth. We remain to be convinced that these improvements will be that so these are the sorts of questions we want answers to. Just what is the ‘traffic congestion problem’ in Holmfirth, is it significantly worse than other junctions - and does this plan resolve it? Is this an Access Plan for cars, lorries, pedestrians, visitors or residents? How are these different users prioritised? How does the Plan show consideration for Holmfirth as an important Conservation Area, currently labelled as ‘At Risk’ by Historic England? 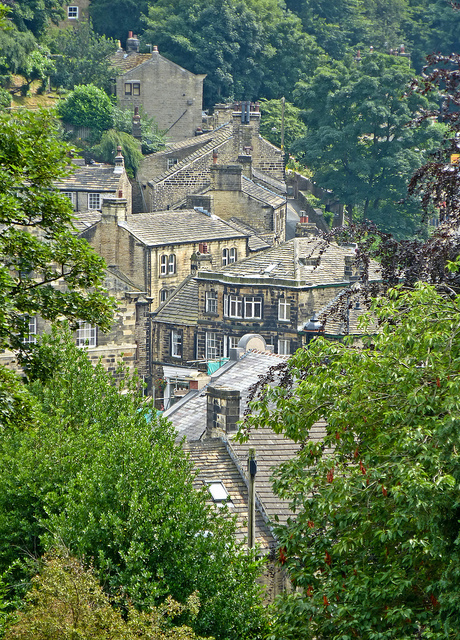 How does the Plan help the 175 businesses within the centre of Holmfirth, the many visitors to Festivals, the night-time economy and residents? i.e. is this a Plan for Holmfirth as a destination or as a junction? If the traffic lights are removed, how will pedestrians – the disabled, the elderly, buggies, the mobile – move around? What will be the impact of the proposed bridge on the pleasantly traditional Hollowgate? How would you use Hollowgate as a pedestrian or driver? What will be the impact on businesses? Will the construction of a new bridge encourage more traffic through Holmfirth? Could a better through-flow of traffic be enabled by enforcement of parking restrictions in addition to the suggested improvements to Victoria Street and Towngate, without the new bridge and the one-way system? Could artics and buses turn off the new bridge if there are traffic queues towards Huddersfield? Does this Plan help artics and buses to turn right onto Victoria Street? What about cars coming from the car-parks? Is this Plan a sledgehammer to crack a nut? Will it improve the environment and values of Holmfirth? Could our problems be solved more easily and with less disruption? A mammoth task to log and evaluate the current state of our beautiful town as Phase 1 of ensuring that we can keep it in the style to which we have all become accustomed. One of our main goals post appraisal is to raise awareness of the conservation issues, large and small, which affect the town. This work is licensed under a Creative Commons Attribution 3.0 Unported License, except the image on the home page which is copyright Tim Green, licensed under Creative Commons Attribution 2.0 Generic License.